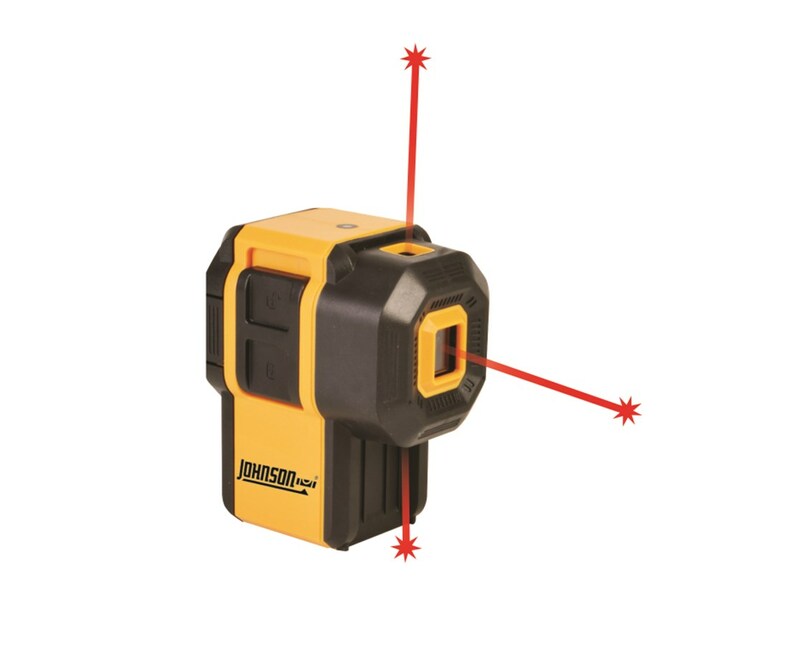 The Johnson 3-Dot Self Leveling Laser projects two plumb dots and one level dot, it is commonly used in framing applications and can replace levels and plumb bobs. This dot laser is easy to see because of the concentrated beam and gives an accurate measurement instantly because of its self-leveling capability. Accurate within ±1/8 inches at 30 feet and has a self-leveling range of ±5 degrees. 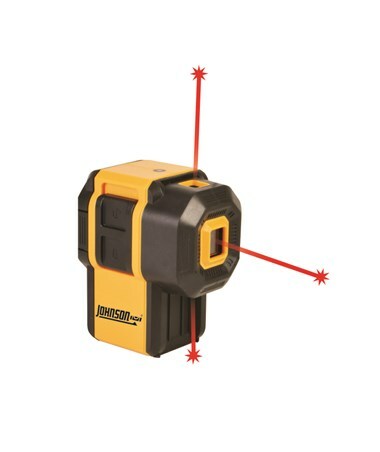 The Johnson 3-Dot Self Leveling Laser has a tall profile for clearance of wood or metal drywall track. It also comes with a locking compensator, protecting the pendulum during transport. A visual indicator is also available indicating when the laser is out of level. This 3-Dot Self Leveling Laser is suitable in the following indoor applications including flooring, cabinetry, drop ceiling installation, wainscoting, carpentry, tiling, electrical boxes and switches, drywall track/stud wall installation, setting drainage slope. 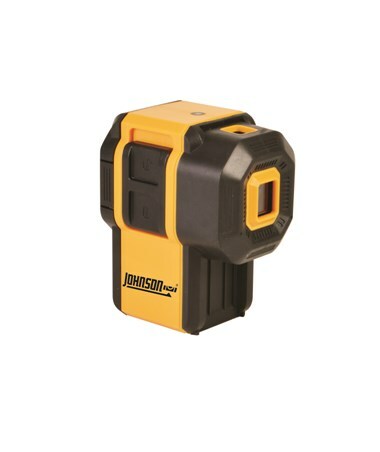 With its dust resistant construction, this Johnson Self-Leveling 3 Dot Laser has an IP class protection of 50. It has 1/4"-20 tripod thread for use with most common tripods. This laser includes two "AA" alkaline batteries and comes backed by a 2-year warranty.